The kitchen is a high-risk area for accidents because of the nature of the tasks and the equipment involved in completing those tasks. Accidents may occur when you do not use kitchen equipment properly or you do not follow the correct procedure to complete a task. However, you can prevent accidents by paying attention to the tasks you are performing and what is going on around you. Your actions affect not only your health and safety, but also the health and safety of any others who may be present in the kitchen. Therefore, it is important to follow safe work practices to protect yourself and others from injury. 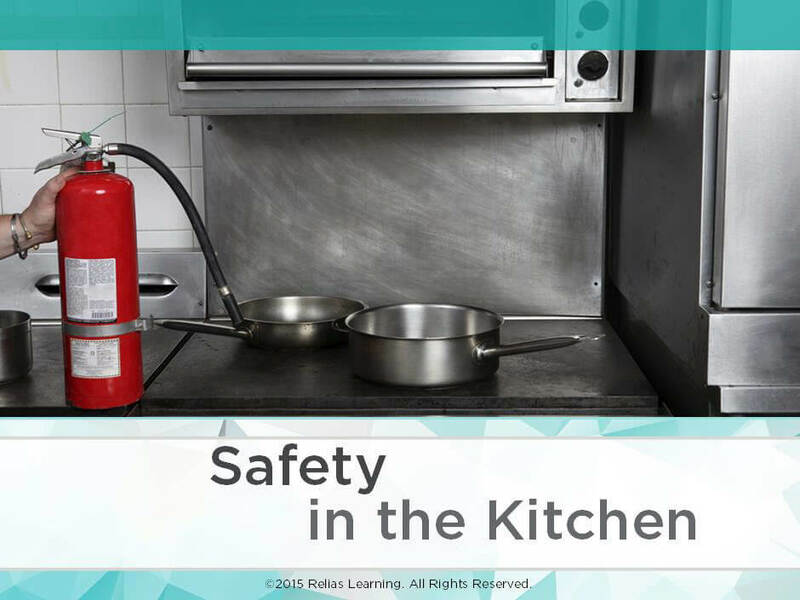 In this course, you will learn how to prevent the most common kitchen accidents by following safe work practices. This program is approved for 0.50 hours by the Dietary Managers Association. Approval code 163004. Identify three injuries that may occur because of kitchen accidents. Describe five safe work practices to prevent common kitchen accidents.